A crowded GOP candidate pool gives the show an edge. 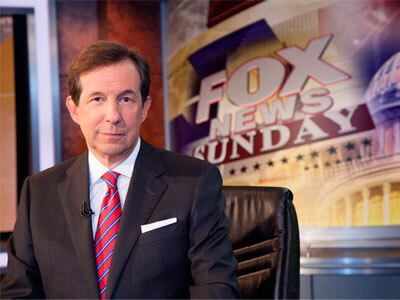 The pack of potential GOP presidential candidates appears to be giving “Fox News Sunday with Chris Wallace” a boost in the DC market. For three weeks in March, the show topped “Meet the Press” in the A25-54 demo. FNS pulled ahead of MTP on March 8 and 15. And on this past Sunday, March 29, the show finished first in the DC market in the A25-54 demo, according to Nielsen. MTP still led all shows in DC among total viewers with 70,000, followed by FNS which averaged 54,000. FNS has previously overtaken MTP, once in October and once in December of last year, but it is happening with greater frequency. Last Sunday’s show featured an exclusive interview with former Hewlett Packard chief Carly Fiorina, during which she told Chris Wallace the chances of her running for president were “higher than 90 percent.” We’ll see if FNS’ home field advantage vis-à-vis possible GOP hopefuls will translate into further gains for the show.